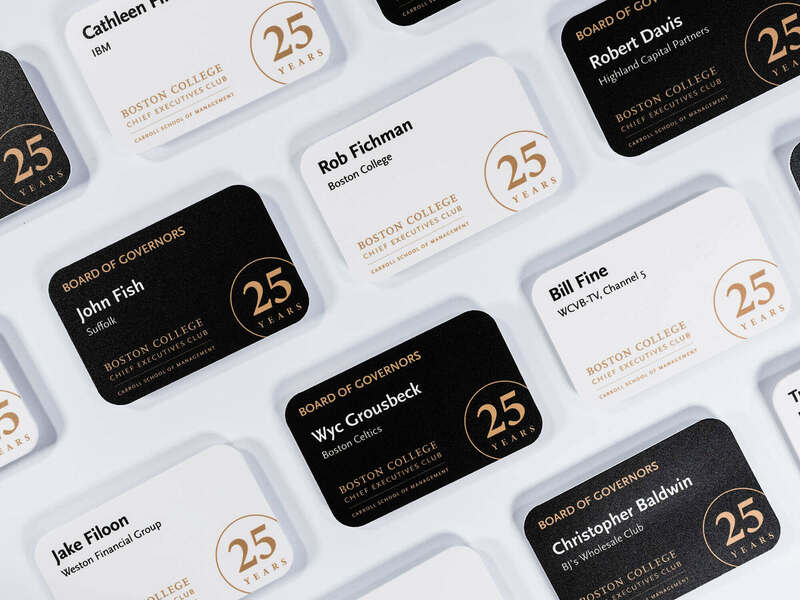 Special events and anniversaries deserve special attention. 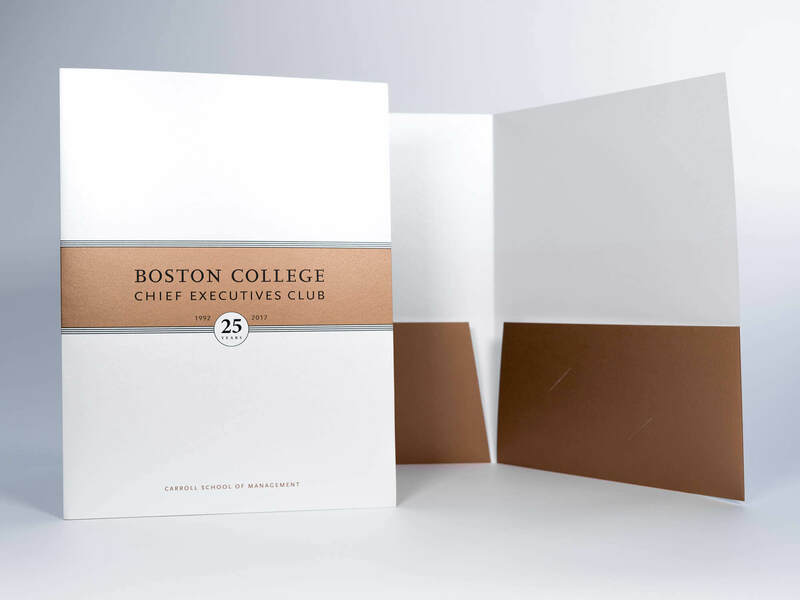 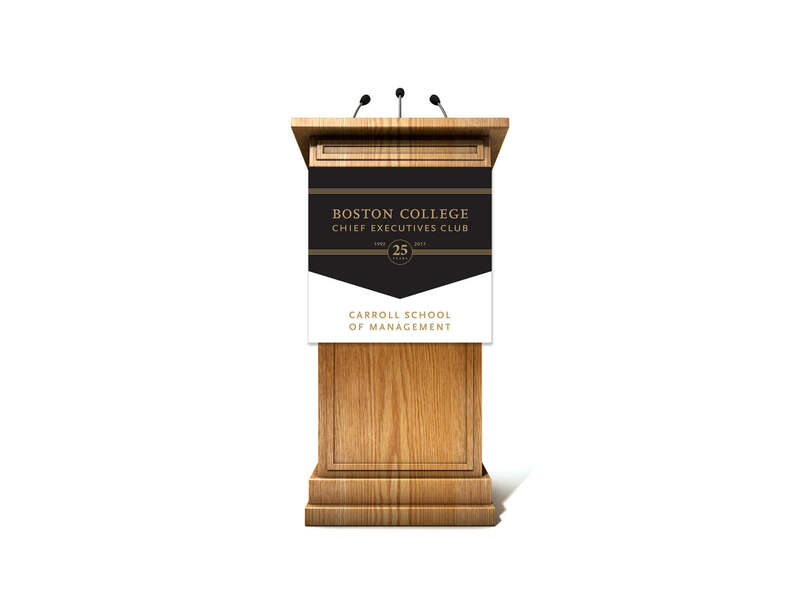 That’s just what the Boston College Chief Executives Club needed to mark their 25th anniversary. 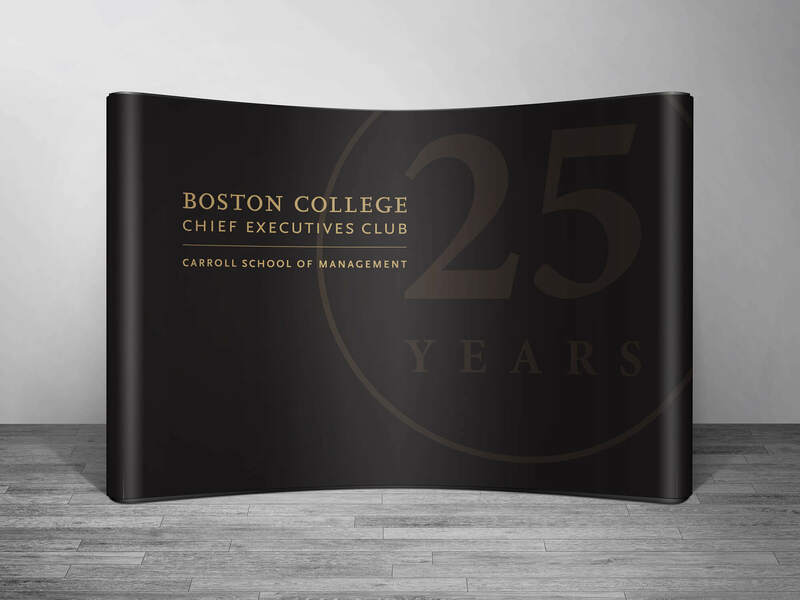 Our designers worked with their team to develop a 25th-anniversary logo and materials for their events throughout the year including presentation folders, letterhead, name badges printed on PVC, a media screen and podium sign for presentations and press conferences.